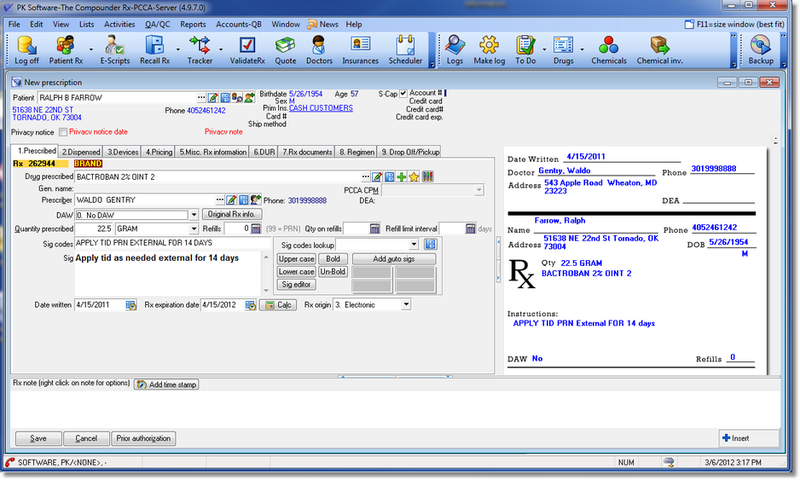 PK Software Inc. has partnered with SureScripts to integrate The Compounder Rx with SureScripts E-Prescribing systems. PK Software’s solution to help meet your ePrescribing needs and assist in strengthening prescriber relationships by providing electronic means of communicating brand and generic prescriptions to your pharmacy. And, of course, it can accept compounds too. Give you the capability to see how many prescriptions have been filled via ePrescribing. When a new Rx comes in through the e-Prescription system, a notification is displayed on the bottom right of the screen. When filing a new Rx, you can view the Rx and type in the Rx information. You can add new patients by clicking a button. All the information from the prescribers' system will populate within The Compounder. Click here for more informaton to visit the SureScripts website. Note: They will not be able to tell you detailed information about The Compounder and SureScripts.